Ex-super eagles player, Uche Okechukwu granted an exclusive interview to Premium Times on how Nigeria can perform better at the World Cup, and even more. 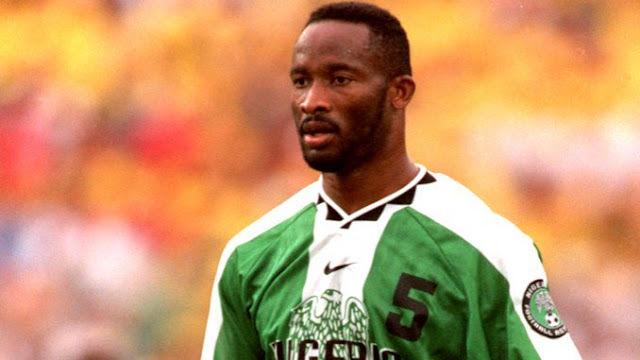 Fondly called the ‘Gentle Giant’ in his active days with the Super Eagles, Uche Okechukwu is a name that continues to ring a bell in the Nigeria football circles and beyond. Widely seen as one of the best defenders that has ever donned the green and white jersey of Nigeria, Okechukwu speaks with PREMIUM TIMES on how the Super Eagles can go far at the fast approaching Russia 2018 World Cup. Okechukwu also delves a bit into his private life; opening on his life after football. PT: Nigeria is set for the sixth appearance at the FIFA World Cup, how do see the chances of Nigeria at the Russia 2018 World Cup? Okechukwu: Honestly, I have not had the opportunity to watch this team closely enough to be assertive on what they can do. I only watched one of the qualifiers and it was not for the 90 minutes, but for a team to qualify for the World Cup, it means they are good.